A bowl of seasoned roasted root vegetables. 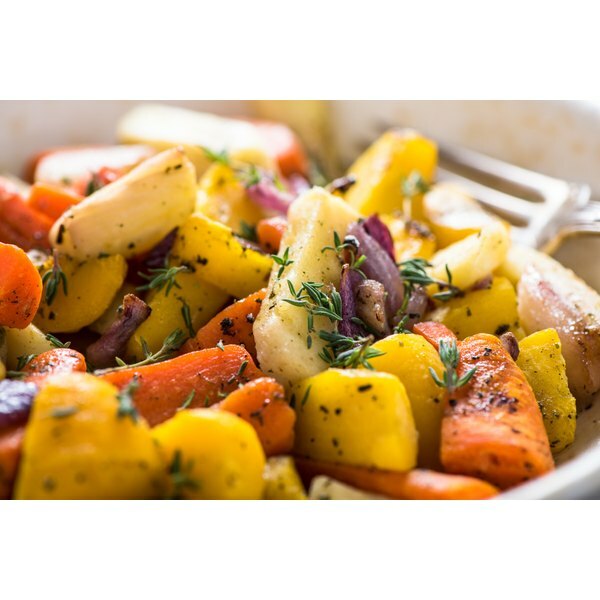 Simple and healthy, roasting vegetables draws out their natural flavors, enhances their textures and makes them more enjoyable for even the pickiest of eaters. Radishes, parsnips, turnips, beets and carrots all roast well and together create a blend of colors, textures and flavors that will complement almost any meal. Between the vitamin C that the turnips provide and the potassium and iron from the beets, this vegetable medley is not only flavorful, but also nutritious. Wash all of the vegetables under running water. Use a soft brush to scrub away any dirt. Trim away stems, leaves and hard end pieces from the vegetables. Cut away any damaged or bruised areas with a knife. Peel the vegetables with a vegetable peeler or a knife and discard the skins. The radishes won’t need to be peeled. Chop the parsnips, turnips and beets into cubes no larger than 1 inch. Slice the carrots into pieces no larger than 1 inch. Leave the radishes whole. Toss the vegetables in a large bowl with olive oil and seasonings, such as salt and pepper. Add garlic, lemon zest or balsamic vinegar for an extra flavor boost. Line a baking dish with aluminum foil and empty the bowl of vegetables into it. Spread them out around the dish evenly. Roast the vegetables for 10 minutes before taking them out and stirring them. Continue to roast the vegetables for another 10 minutes, and take them out of the oven. 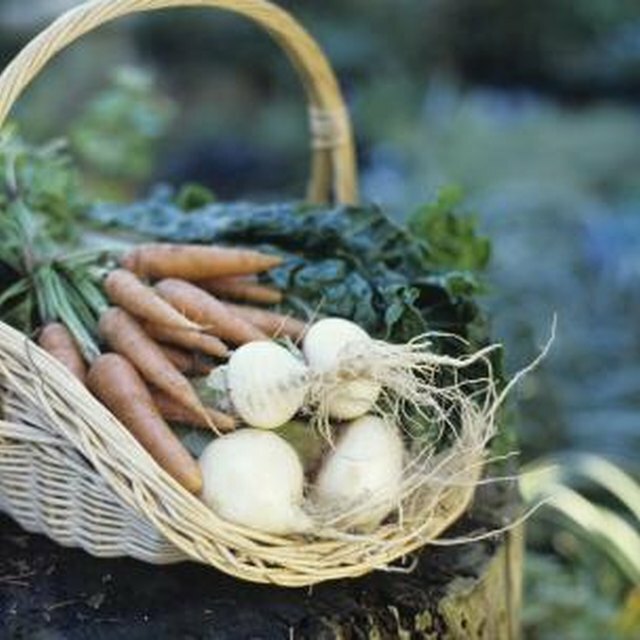 Store roasted vegetables in an airtight container in the refrigerator for 3 to 4 days or freeze them for up to 1 year.